We were truly saddened to hear of the sudden death of former player Dr Roger Rowlands on the 5th February. Our President John Darlaston wrote this tribute. "Always popular, always good company, a good friend to many. He will be well remembered and missed by Dursley Rugby Club." Roger Rowlands was a larger than life character in all senses. He played for and supported Dursley Rugby Club over many years. He joined the Club in the late 1960s when he moved to be a GP in Wotton-under-Edge. He was a regular in the second row of the first team for several seasons where his well proportioned frame contributed both in the scrums and in loose play. He played at all levels in the Club including the Veterans where he had his final game. 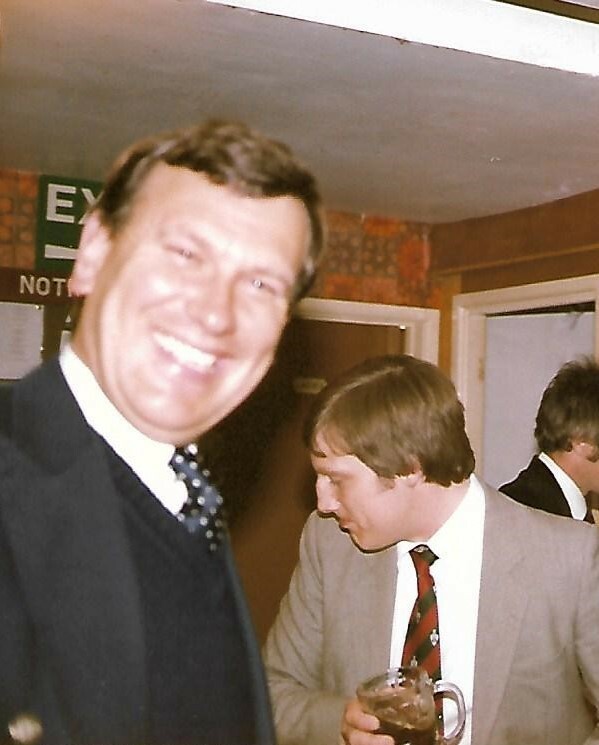 Roger's association with the Club continued after his playing days, by following his sons and grandsons through junior rugby and in supporting events at the Club, particularly the Summer Ball. He enjoyed all aspects of the game from playing, to touring, to supporting. He was a regular supporter of Gloucester in recent years and had followed the British & Irish Lions. Roger was a renowned tourist around which many stories have been woven. One of the memorable moments was on the tour to Jersey in the early 1970s. We left the Hotel in the evening for a social event at the Rugby Club and on the coach he fell asleep in the back seat! We all left the coach and went into the Club only to realise after a while that Roger was not with us. The bus - with Roger still on it - had been driven off, parked for the night and locked up for the night! The bus company was contacted, Roger was rescued and returned to the fold at the Rugby Club. In character he continued his evening as though nothing had happened. On another tour the Rowlands ‘Pernod Club’ was in full swing on the last evening. We had been instructed to be up by 5am next morning to catch the 6am ferry. Russ Holloway went to bed about midnight and the drinking continued. Typically Roger came up with an amusing idea. He went to wake up Russ and told him he was late for the ferry (before returning to the bar). Russ appeared shortly afterwards shaved, showered, fully dressed and bag packed to find the time was only 1am. I'll let you imagine his reaction! These stories typified Roger and his wonderful approach to life with an appealing sense of humour. Roger was a rugby man through and through. He had a good grounding in rugby and its social skills as a medical student at St Mary’s Hospital. He ‘educated’ members of the Dursley Club in many of these skills as well as showing off his own skills in the game over several seasons. He had many contacts through rugby. He retained his contacts at St Mary’s Hospital RFC and when going to International matches at Twickenham he would arrange hospitality at their Club. This required considerable stamina which Roger always seem to have in abundance. Always popular, always good company, a good friend to many. He will be well remembered and missed by Dursley Rugby Club. Sending our thoughts to Roger's wife Molly, his family and friends.